NOTE: Due to the nature of Final Fantasy XIV: A Realm Reborn's expansions, this page covers the base game and all of its expansions. Final Fantasy XIV: A Realm Reborn (FFXIV: ARR) differs from the original Final Fantasy XIV, which launched in 2010 and was eventually replaced by FFXIV: ARR. FFXIV has a mandatory subscription fee of $14.99 per month, with the option to purchase 3- or 6-month subscriptions for up to a $2 per month discount. Presently, FFXIV has 2 expansions: Heavensward and Stormblood. 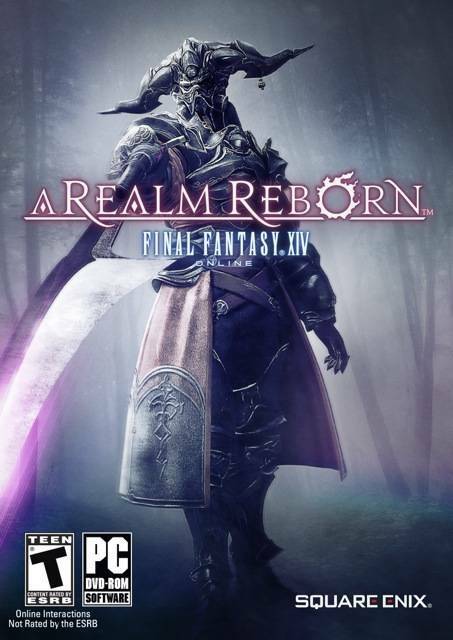 FFXIV: A Realm Reborn (sold as the Starter Edition) sells for $19.99. The Complete Edition includes the base game and both expansions for $59.99, but those who already own FFXIV: ARR and Heavensward can purchase the Stormblood expansion for $39.99. Square Enix sells additional services and items via the Mog Station, including renaming and world transfers. They offer an array of optional items, including appearance changes, mounts, pets, clothing, emotes, housing decor, and more. Additionally, players may purchase level boosts and the ability to skip most of the main scenario quests to accelerate the game. NOTE: Due to the nature of Final Fantasy XIV: A Realm Reborn's expansions, this page covers the base game and all of its expansions. — Final Fantasy XIV: A Realm Reborn (FFXIV: ARR) differs from the original Final Fantasy XIV, which launched in 2010 and was eventually replaced by FFXIV: ARR. FFXIV has a mandatory subscription fee of $14.99 per month, with the option to purchase 3- or 6-month subscriptions for up to a $2 per month discount. Presently, FFXIV has 2 expansions: Heavensward and Stormblood. FFXIV: A Realm Reborn (sold as the Starter Edition) sells for $19.99. The Complete Edition includes the base game and both expansions for $59.99, but those who already own FFXIV: ARR and Heavensward can purchase the Stormblood expansion for $39.99. Square Enix sells additional services and items via the Mog Station, including renaming and world transfers. They offer an array of optional items, including appearance changes, mounts, pets, clothing, emotes, housing decor, and more. Additionally, players may purchase level boosts and the ability to skip most of the main scenario quests to accelerate the game.